At the opening of Doreen Fletcher’s RETROSPECTIVE, I publish this interview in which Doreen tells her story in her own words. All are welcome tonight at the Private View of Doreen Fletcher’s RETROSPECTIVE at Nunnery Gallery, Bow Arts, Thursday 24th January from 6pm. The exhibition runs until 24th March. Doreen Fletcher - Looking back, I think I was attracted to painting even from the age of four or five. I loved colour and my dad used to take me to the local toy shop where I always insisted on the best quality paints. I was an only child, born into a working class family, and my parents were – as you might say these days – semi-literate. Consequently, from the age of about eight years old, I took responsibility for helping them out in dealing with officialdom, not unlike – I suppose – immigrant children in the East End today whose parents have limited English. My mum and dad were very loving, and keen for me to have the opportunities they had missed. When I was five, I was bought a set of encyclopaedias from a salesman selling door-to-door on the never-never. It had colour reproductions of famous paintings such as Constable’s ‘The Hay Wain’ by Constable and Turner’s ‘The Fighting Téméraire’ and I thought they were wonderful. Doreen Fletcher – Alice, my mother, worked in a munitions factory during the war and then became a domestic servant afterwards. It gave her ideas about not putting the newspaper or ketchup bottle on the table and she adopted ‘healthy eating,’ much to my irritation. She was also particular about keeping the front step, windows and net curtains clean. Colin, my dad, started off as a farm worker. He wanted to be a vet but due to illness he missed a year’s education at seven years old which meant that he left school hardly able to read or write. Doreen Fletcher – It was composed of greys and browns – soot-streaked streets with sparrows and pigeons. I used to long for colour, for tinsel, for fairy lights and fairgrounds. Yet although I grew up in a two-up-two-down terrace in Stoke-on-Trent, every Sunday my parents took me on excursions by bus into the country, a different destination each time. This was rare at the time and I think it revealed their great sensitivity and care. The Gentle Author – What took you away from the Potteries? Doreen Fletcher – I did not like living in a small town, it lacked cosmopolitanism. I hated the social constrictions and the pettiness I encountered. After A Levels, I decided I to study a subject that would earn me a living, so I enrolled on Bsc Sociology Course at North Staffordshire Polytechnic in Stoke. I have always been fascinated by other people’s lives, attitudes and behaviour. However it proved a disastrous choice for me because the course dealt mostly with statistics and their interpretation. I did not even last two terms. So I went to work in a local tile factory – of which there were plenty in those days – where my job was sorting broken tiles. After six months I left, realising there was no future in it for me. The Gentle Author - Did you apply to art school? Doreen Fletcher – Yes, I applied to study at Croydon College. Even then, I was very independently minded and did not want a structured degree course where I might be expected to conform to a ‘house style’. At this point, I was painting quite a lot of self-portraits and still lifes. One day in late 1973 I saw an exhibition of paintings of Mow Cop by Jack Simcock in Cork Street. Mow Cop was a hilltop village not far from my home. In Newcastle-under-Lyme, if I leaned out of my bedroom window at a dangerous angle, I could just see the Victorian folly on the summit of Mow Cop in the distance. The houses were built out of Peak District sandstone and local millstone grit. The place was bleak and dour. I was captivated, deciding then that I wanted to be an urban landscape painter, recording my own environment. 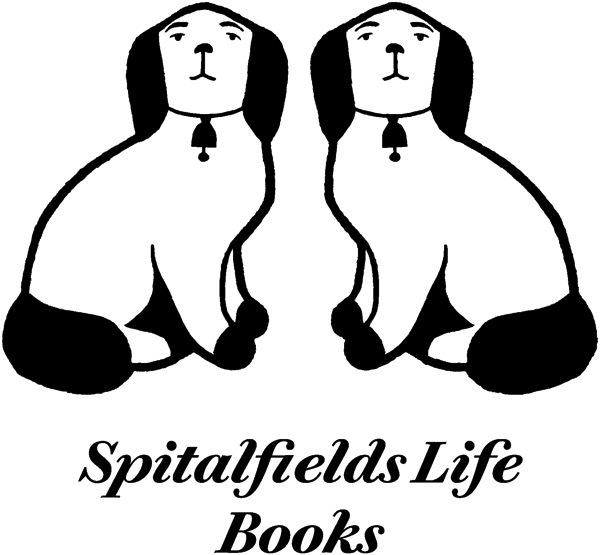 The Gentle Author - Where did you live when you first came to London? 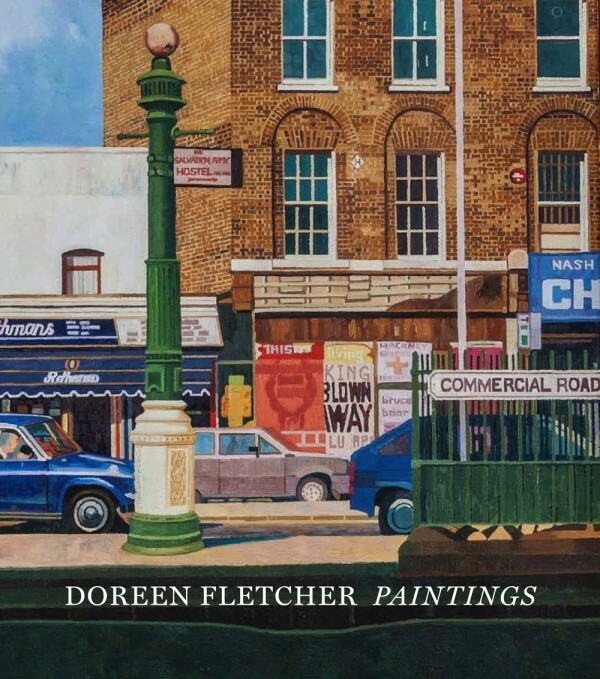 Doreen Fletcher – To begin with, I stayed around Wimbledon, then I spent seven years living in Paddington where my fascination with urban scenes escalated. Coming from a small town in the North, it was an exciting place to be. I was close to the Serpentine Gallery, Kensington Gardens, Notting Hill Gate and Portobello Road. I started painting local landmarks, the Electric cinema and the Serpentine boathouse. Then I became interested in Underground stations at night, Bayswater and Paddington. This project continued when I moved to the East End. Doreen Fletcher – At that time artists were attracted to live and work in the East End because of the cheap studio space that was available. It was easy to rent because the local population were moving out and and artists were happy to live in dilapidated accommodation if it gave them room to work. Before long, a mutually supportive community of artists developed around Bow, Stepney and Mile End. The Gentle Author – How do you remember the East End then? Doreen Fletcher – I noticed the skies first, open and dramatic as they advanced into Essex. There were corrugated fences everywhere, still bombsites where buddleia proliferated and a few prefabs inhabited by artists. There was an openness in the streets which has since gone, now every corner has been built up and every vacant space filled. Yet the distinctive quality of light remains particular to this part of London, a luminescence generated by the proximity of the river. I loved it here because I had had enough of the West End. It felt to me as if I were returning home. Like Stoke, the East End was predominantly working class and also had once been an important centre for industry. Corner shops and tiny pubs proliferated among street markets. Doreen Fletcher – I was excited visually by being somewhere new to me yet that also reminded me of where I grew up. In the Potteries, the town planners’ ethos was ‘If it’s old, let’s sweep it away’ – regardless of its cultural and historical significance. I saw the same fate awaiting the East End. The first painting I did here was the bus stop in Mile End in 1983 and then Rene’s Café next. Doreen Fletcher – I was working as an artists’ model in an art school. It was the most boring job you could imagine, but I stuck at it during term-time so I could have periods of full-time painting. I was able to keep myself by working three days a week as a model. Doreen Fletcher – Painting was the focal point of my life. My studio was a small room at the top of a run-down three-storey house in Clemence Street. It faced north so the light was good for painting. I walked around the East End at different times of day and in different weathers. Eventually a particular scene imprinted itself on my mind that could have potential as a painting. I did thumbnail sketches and took a photograph. Once I had gathered this information, I made a detailed drawing as a basis for the painting. This might evolve over a period of months or even years, as the tension built up between my need to represent reality and the demands made by the painting itself. I always struggle to resolve a picture in an abstract way as well as portraying a subject. To this day,I follow this methodical process to make a painting. I worked a minimum of twenty-eight hours a week, a target I still adhere to. I was determined not to become a Sunday painter. Doreen Fletcher – Yes and I did have some limited success in the eighties showing within the borough, receiving a few grants and being accepted in open exhibitions such as the Whitechapel and the London Group. Companies bought work from time to time and local people appreciated my paintings, but there was little interest from any critics or commercial galleries. Doreen Fletcher - Once a month, I used to send off slides in response to competitions and requests for submissions in Artists’ Newsletter. It was time-consuming and costly without reward. The Gentle Author - How did you maintain morale through those twenty years? Doreen Fletcher – I am an optimist and I remained optimistic up until the late nineties, when my work grew increasingly unfashionable due to the rise of conceptual art. It became more difficult to find any places where I could exhibit my work that would even accept representational painting. My work was simply out of fashion My interest in the East End was waning too, as Canary Wharf transformed into a financial metropolis. I found I did not know what to paint any more. It felt as though a period of my life was coming to an end. The Gentle Author - What made you feel that? Doreen Fletcher - The East End was changing in a way that I could not understand or portray. The new buildings were densely packed, destroying the distinctive sense of place and community. At first, I was interested in the construction – on the Isle of Dogs for instance – but once it was finished there were just too many people and too much architectural uniformity. The Gentle Author - Were there changes in your life too? Doreen Fletcher – I grew more involved in teaching art to youngsters with special needs, taking a part-time job in further education. I became more interested because I found I was good at it and my teaching work was appreciated. Gradually, I worked more in the administrative side of education, supporting other lecturers. The Gentle Author - Did you find that satisfying? Doreen Fletcher – Yes, I was earning a salary and contributing to the community. It was rewarding to be working with other people after my years of isolation. I enjoyed participating in the local community rather than being an observer. Doreen Fletcher – I did not realise that I was creating any kind of social document at the time because I was so absorbed with each painting, each one constituting such a lot of work. I had tried very hard to get my pictures out there and get them seen. I had hoped for some kind of recognition. I was never ambitious in terms of international recognition but I did feel that the work was good enough to be recognised more than it was. Doreen Fletcher – Yes. I remember the day I made a conscious decision to pack away my paints. It was November 16th 2004. I said, ‘That’s it! I am not going to paint again.’ I had no knowledge that I was undertaking a journey and enduring a struggle that other artists in the East End had already experienced. If I had been aware of the East London Group and their example, I might have had the heart to continue. Doreen Fletcher – At the time I did not think so, I believed I had done all that work for nothing. But looking at the work again, I am very glad I did it. I think it was important that I recorded something which has now vanished. The Gentle Author - Do you think you evolved as a painter by doing this work? Doreen Fletcher – If I had I been taken on by a gallery, I might have developed more as a painter. Instead, I think I found a method of working that suited what I was doing and I stuck with it. Maybe with a bit more encouragement I would have done what I am doing now, since I have come back to painting. The Gentle Author – How do you judge if one of your paintings is successful? Doreen Fletcher – A painting is successful for me when I believe I have captured an essence of a place in a moment. A picture must sit comfortably and solidly on the canvas. My concern as an artist is with the pockets of life that we ignore. Now I have started painting again and the series of pictures I have been working in the last two years are the result of having lived in East London for thirty-five years. I have been reflecting on how much remains from the early years and come to appreciate how those people who still live here have adapted to the changes. There is something very engaging about Doreen’s work. I too wish her every success. Doreen’s work is great. I very enjoy looking looking at her paintings and the observations that she makes of the world. A pleasure to read, thank you! I will be in London mid March and won’t miss the opportunity to see Doreen’s fascinating work. A wonderful body of work. Thank you for capturing not only the images but also the spirit of the ‘disappearing East End’. I look forward to visiting The Nunnery Gallery very soon. My late brother was an artist and he also had ideas about mixing the perfect black. I once holidayed in Bideford, Devon and he had me trying every gallery and art shop to track down some famous ‘Bideford Black’……….without success. Doreen, I wish you every success for the future, you deserve it. Wish I could get to see her wonderful work but have ordered the book to make up for it. Oh, how I wish I was going to be in London to see this exquisite exhibition of Doreen’s work. But, alas, I will not be visiting London until October. I too paint subjects that I hope give the viewer an experience of place, as Doreen’s clearly do. Her pictures speak to me. Much deserved success to Doreen. 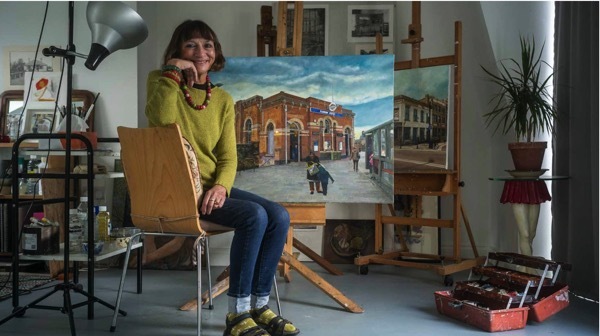 Doreen has captured the spirit and soul of the East End of London through her wonderful paintings. Her work reflects the atmosphere so vividly. She is absolutely brilliant, a very competent artist who deserves success. I am going to the Nunnery Gallery tomorrow and I very much look forward to that. There is s much light, so much warmth and care in Doreen Fletcher’s work. Hardly any actual people are shown yet to me it seems her work is all about people, about destinies and lives lived right there, unseen. A stunning body of work deserving a place in the canon of great british art. Really enjoyed the retrospective of Doreen’s work at the Nunnery Gallery. I live in Bethnal Green so it was fascinating seeing how the East End has changed. There’s a quiet melancholy to her work, that I enjoy. I particularly loved the drawing of her parents outside their terraced house, and the drawing of the trees in the park. She should exhibit more drawings. She sounds like a very nice, very modest woman and it’s heartwarming that she’s finally getting some recognition. Well done for bringing her to the attention of the wider public.